BTS is seeking candidates for its Student Ambassador program. Contestants will be selected based on the submission of essays or videos. Up to 25 will be selected and invited to the BTS VIP event on October 19th, 2018 in Dallas, Texas, all expenses paid. Winners will be officially announced at the event, as we celebrate the 50th anniversary of Apollo VII. Student Ambassadors will be expected to inspire fellow students to develop STEM goals and will have responsibilities that may include filming, acting, writing, producing, promotions, science experiment development, campus liaison, CapCom, launch, recovery and possibly even crew member on the private space launch. Deadline for submission is 11:59pm Friday, September 14, 2018. Student winners will be selected in late September, with winners formally announced at the VIP awards banquet in Dallas, the third week of October. Winners will have the opportunity to spend time at the banquet with some of the Apollo astronauts involved in BTS. All entrants must be U.S. citizens currently enrolled in public, private, or home schools, legal residents of one of the fifty United States or the District of Columbia and between the ages of thirteen (13) and seventeen (17) on the last day of the contest period, September 14, 2018. For more details, refer to the Terms & Conditions. 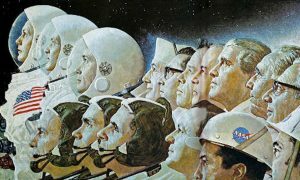 PRESERVE the legacy of the Apollo astronauts by focusing Americans on the 50th anniversary of Apollo. PREPARE and inspire high-school aged students to focus on STEM, Apollo history and the future of spaceflight. The BTS Team includes astronauts Walt Cunningham – Apollo 7, Charlie Duke – Apollo 16, and Al Worden – Apollo 15. In addition, Buzz Aldrin is serving as consulting astronaut. Along with founder Danielle Roosa, the management team consists of serial entrepreneur and Teladoc founder Michael Gorton, celebrated and acclaimed business executive Carl Dickerson, serial entrepreneur and tech guru Eric Lenington, and flight director and American hero Jack Roosa. Former Blockbuster and 7-11 CEO Jim Keyes serves as a senior consultant. BTS is developing a TV series that will amalgamate education, reality and entertainment. The TV series will begin by telling the story of BTS, then focus on the accomplishments of the living legends of the Apollo program, while inspiring the next generation of explorers. This TV show will be a physical representation of passing the torch of space exploration. The high-school ambassadors will be selected based on their entry in the essay/video competition. Finalists will participate in aspects of the TV show, which will focus on the accomplishments of those high school aged kids. The ultimate goal for the Student Ambassadors will be to inspire their entire school as they compete to be selected for roles in the show and on the BTS team. If the timing is right, the first TV season will end with BTS participating in a private space launch utilizing one of the commercial space platforms, sending an Apollo astronaut and a student to space. This history-making event would set two new records--the oldest person and the youngest person to have ever been in space. 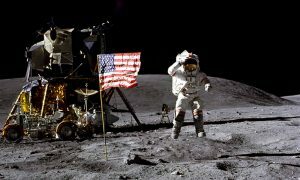 The TV show will likely continue for many seasons that will introduce Skylab astronauts, Shuttle astronauts and some of the current Space Barons. 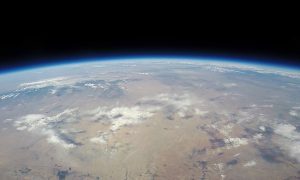 Sign up for our Back To Space newsletter and receive the best and most up to date news right away.